The big man says this the year where he puts it all together. He has one year left at the JUCO level and is working diligently with the AVC staff on his academics, conditioning and basketball skills. 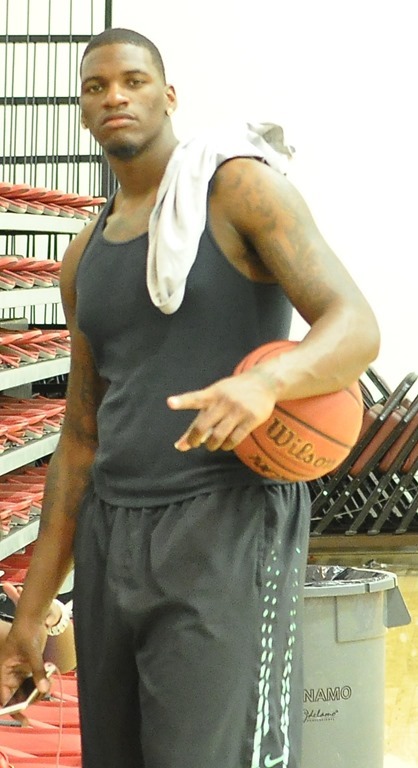 “Ace” graduated from Fern Creek High School High School in Louisville, Ky. in 2013 and due to academics he headed off to a national JUCO, Kankakee Community College, Illinois. He was a two star ranked player with D-1 interest from East Tennessee State and Northern Arizona . According to JUCOService.com, after one year at Kankakee, he transferred to Volunteer State Community College in Gallatin, Tennessee where he did not play basketball but attended classes. Anton played in the #JucoReportElite150 tournament and here is a review of his skill sets. 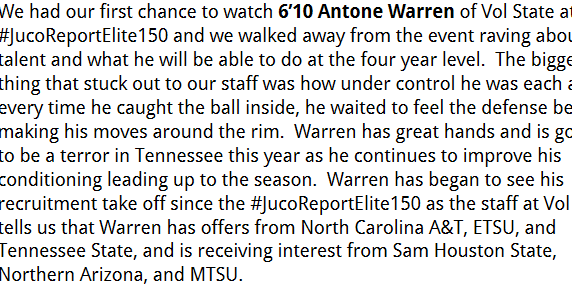 Here is a video of Antone Warren at the #JucoReportElite150. 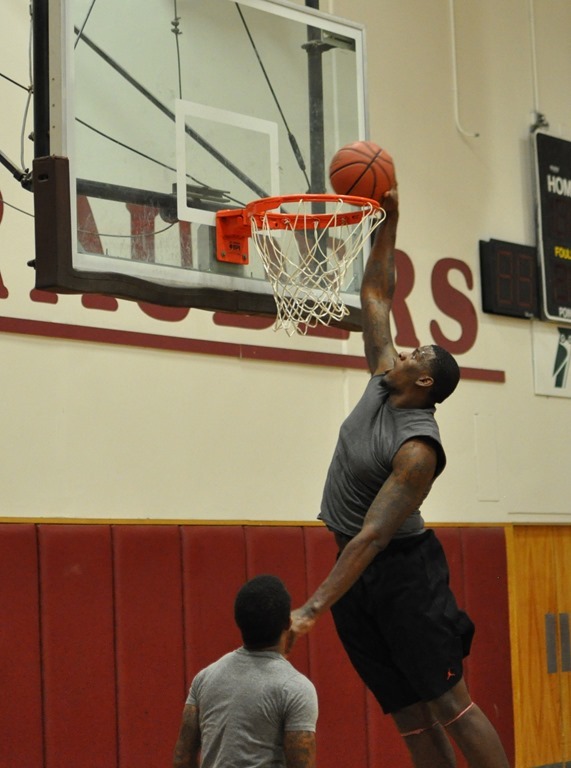 This summer will be a key time for Antone to get his academics and conditioning ready for his critical year at AVC. As of July 15, 2015, “Ace”, as he is called by his teammates, has lost 20+ pounds since is arrival and the improved quickness. He is taking his conditioning, practice time and academic seriously. With this all in place, Antone will be force in JUCO basketball in SoCal this year. This was “Ace’s” coming out party at the Summer Shootout. Very physical but in control. Got better every game. Dominated the paint. Antone Warren was invited the All-American Tournament-Elite 80 in Las Vegas to play against to top JUCO players in the Western US. Antone had over 150 University coaches watching him. He did well and gained confidence. Ace has lost 25 pounds and is getting quicker and more agile. Hand injury requiring surgery(finger fracture). Tentatively off from basketball 2+ months. He will be able to concentrate on his academics. The time will give Warren more time in the weight room and track. He will be able to learn the AVC system well. Looking forward to seeing the big man next year.